Several groups seized May 1, Labour Day, not only to protest against the Chinchilla administration, but also against the U.S. President Barack Obama visit scheduled for Friday and Saturday. The group called the Nuevo Partido Socialista (NPS) – New Socialist Party, led by Victor Artavia, is calling unity of the different parties to sustain a fight against the government. 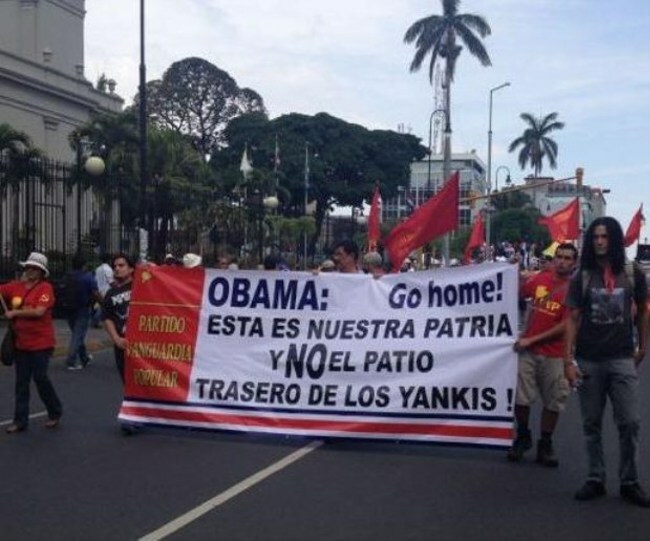 The group is also calling for a demonstration on Friday, May 3, the day Obama is to arrive in Costa Rica. The group will gather in the Parque Central, downtown San José, beginning at 3:30pm. Getting the message heard included some 40 motorcyclists and other vehicles with horns and sound systems blaring. Other messages by the various groups included messages of discontent against the Chinchilla administration.